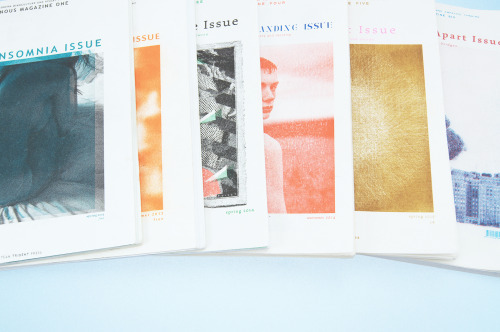 NOUS magazine is a bi-annual publication dedicated to conversations about mental illness. Our aim is to promote open-mindedness in society, especially for related issues, and help remove the prejudice following people affected. We are based in Manchester since 2013. NOUS magazine features up and coming photographers, illustrators and writers addressing issues related to mind culture and mental health. Concretely we talk about a specific topic in each issue, for example our most recent winter issue, “Worlds Apart” addresses themes such as post-traumatic stress disorder, cultural conflicts between East & West, schizophrenia - just to name a few - through fiction, essays, and poetry. NOUS is produced and published at Islington Mill Studios in Manchester, printed by Team Trident Press on their RISO machine on recycled paper. Usually NOUS is printed in two to three colours, contains up to 180 pages in a handy A5 format.